Why Would Your Pet Eat Something Like That?? 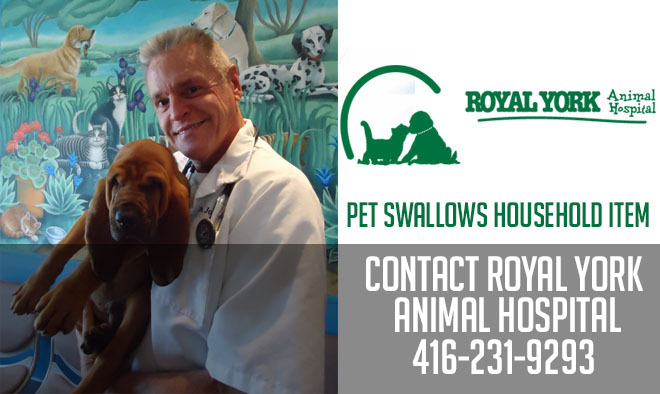 Junior , a 7 ½ year old male beagle, was presented to the RYAH a few days ago for the ingestion of an entire raw pork chop a few days earlier! Junior was truly unwell. 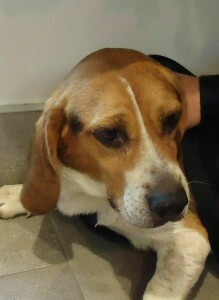 He had been vomiting many times since and the owners were concerned. Organ Dysfunction i.e. his organs were not working efficiently and the Pancreatitis was reacting to the ingestion of the fat on the pork chop and the overdose of fat. TIME TO DO SOME PET DIAGNOSTICS! The most common reason dogs and cats get sick is # 2 (Dietary Indescetio ), Radiographs in this care are the first order of business. 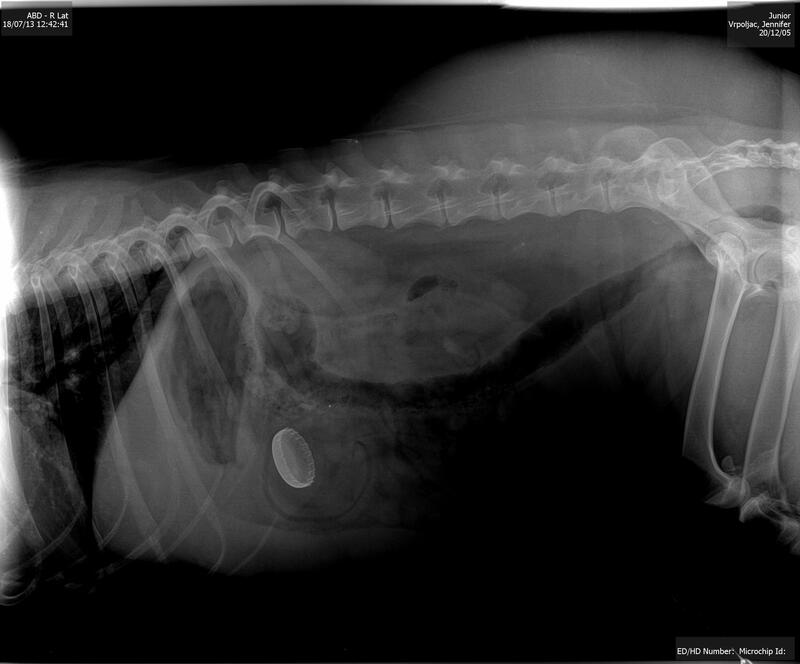 Lo and behold only one bone chip was noted in the intestine but what was the other strange silhouette on the radiograph?? A BOTTLE CAP ! Junior had at sometime, ingested a bottle cap and as the cap around in the stomach and touched the stomach wall, Junior would vomit. What does RYAH do next? Surgical removal is the most common option depending on the location of the foreign object but in Junior’s case since the bottle cap was still in the stomach, scoping of the stomach was the quickest and best option. 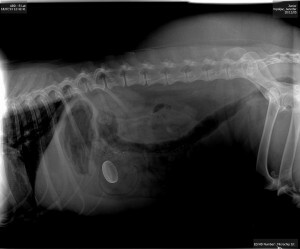 Recovery of the bottle cap was made using alligator forceps down the oesophagus and into the stomach while Junior was under anaesthetic and is a less invasive option.. Blood work was updated prior the procedure to ensure liver and kidney could handle the anaesthetic and a CPLI or definitive Pancreatitic Enzyme Test to ensure Pancreatitis from eating the pork chop rind was not complicating this procedure. Endoscopy and retrieval of the bottle cap was successful! Aren’t you amazed..some dogs will eat Anything ! !